‘HOW DO I EVEN BEGIN to come to terms with this barrage of bad news?’ So begins a journal entry I wrote in March this year after reading recent reports on climate change. Fifteen minutes later, when I returned to my desk, I’d dismissed everything I’d read. My mood was buoyant again, based on absolutely no new evidence. I turned off my computer, and threw the report I’d been reading in the recycling bin. I simply didn’t want to know about it. It’s hard to overstate just how backwards and isolated this man’s views are. Denying the basic facts of climate change means rejecting the consensus view of qualified scientists on the topic, every major scientific institution and all the world’s governments. It’s quite a feat of confirmation bias. What’s most interesting, I think, is that Roberts has popped up in parliament at precisely the time his variety of denial has faded to the margins. Climate sceptics have always been a fringe minority in Australia. But due to the disproportionate amount of airtime and column space they get in the media, people think there are more of them than there actually are. If you ask people what view others hold on the topic, as a CSIRO survey did, they’ll say 23 per cent of people think climate change is not happening. In fact, fewer than 8 per cent of people have that view. It’s a tiny group. Plus, with the Paris climate change agreement in December 2015, there’s now international consensus to curtail global warming, making Roberts’ brand of climate denialism an embarrassing relic. Instead, we’ve moved on to a new phase of denial — the kind I’ve suffered from. What is denial? The late British sociologist Stanley Cohen described three varieties: literal, interpretive and implicatory. 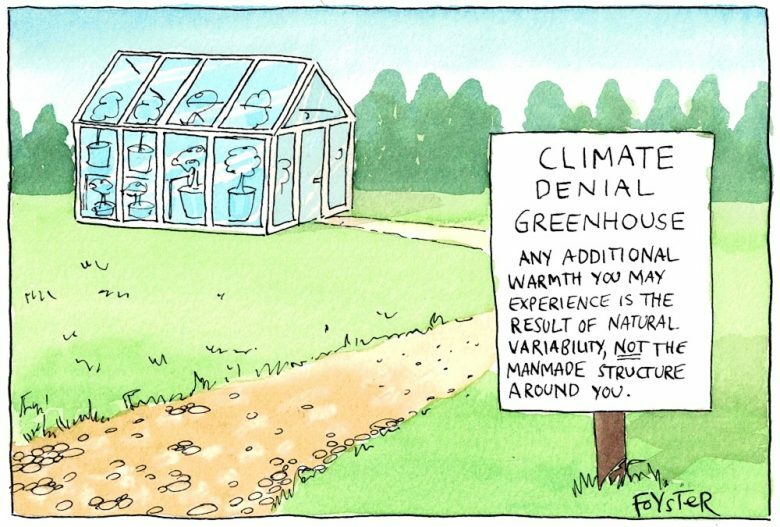 Literal denial is the blanket assertion that something did not happen or is not true (such as Roberts’ rejection of the greenhouse effect). Interpretive denial is accepting the facts but giving them a different spin through euphemism, technical jargon or shifted emphasis. An example would be accepting that global warming exists, but arguing it’s a good thing for some reason. Implicatory denial is something different, and much more interesting. It’s when we accept the information, but suppress the ‘psychological, political and moral implications that would conventionally follow’. This is the form of denial we practice when we’re concerned about climate change but want to continue polluting behaviours like flying overseas for holidays. It’s a way of letting ourselves off the hook. I know the feeling. That’s exactly why I threw that climate change report in the bin — to protect myself from feeling scared or hopeless. For decades, researchers thought the lack of action on climate change was due to lack of knowledge. This concept was called ‘the information deficit model’. ‘If people only knew the facts!’ went the catchcry as scientists, government agencies and environment groups presented the public with their most convincing statistics and temperature charts. It hasn’t worked very well. Humans aren’t spreadsheets with legs, weighing up the pros and cons of every action rationally. We’re emotional creatures, and we interpret information through all sorts of filters — values, worldviews, identity, even social etiquette. We also have defence mechanisms to block out bad news. 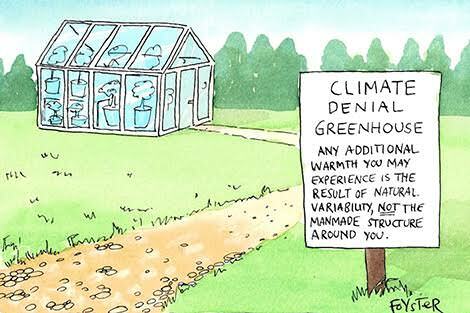 That’s why the psychology of climate change, including how to deal with denial, will be crucial to our response. But it’s not the literal denial of Malcolm Roberts that will be a barrier in the future. That phase is over. It’s the subtle, unspoken denial of people who fully accept the science, but deny the implications because they’re just too troubling to think about. People like me … and maybe you. First published in Eureka Street.